Twelve year old Alexander Drabb, who prefers to be called Sandy, believes he has been sent to the strange land of mud to help run the sugar plantation, nicknamed Mosquito Mansion, of which his Uncle George is the manager. Finding that he was not wanted where he came from and not especially wanted where he has been sent, he seeks the friendship of Quaneva, a girl slave a little older than himself. Though Sandy is unaware of it, his freedom to travel allows Quaneva to play her part in organising a slave rebellion. Uncle George disapproves of this growing friendship and sends Sandy off on a bush expedition with the local militia to capture runaway slaves and destroy their rainforest settlement. On Sandy's return as a hero, the celebration of the expedition's success is thrown into confusion when the slaves rebel. Their misadventures continue when Sandy and Quaneva escape during the uprising and are swept upriver in a canoe, where they find themselves hunting and partying with the Indians. But who is the mysterious hermit called Where-am-I? Did the rebellion succeed? And when Sandy is forced to face his divided loyalties, who will he betray? 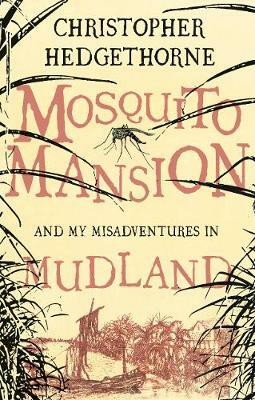 Mosquito Mansion and My Misadventures in Mudland is a young adult novel set in Demerara, on the Wild Coast of South America in the days of slavery on the plantations.